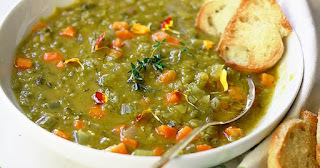 LA CASA E IL GIARDINO: SPLIT PEA SOUP: "Split pea is one of our favorite soups. Who can resist the smoky flavor of the ham bone? 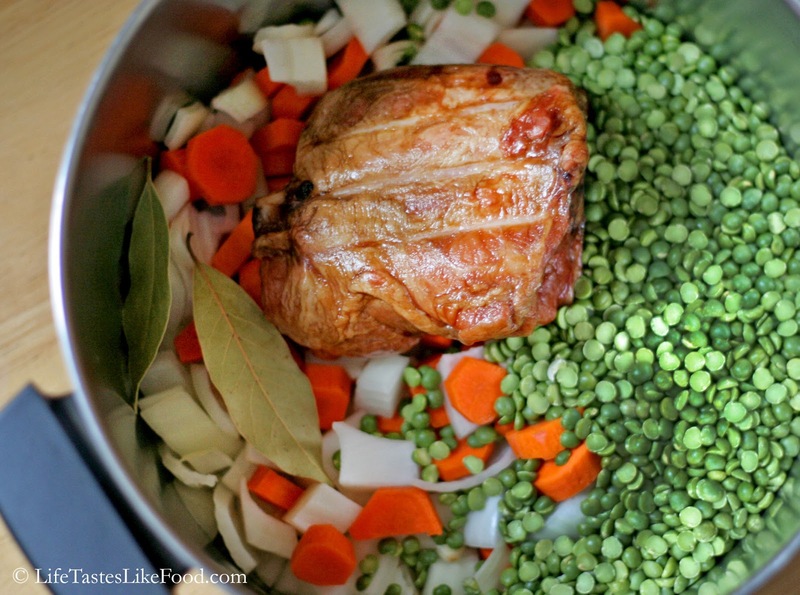 The flavor of salty pancetta adds a wonderful punch!" Today, in Northern California's Bay Area, is the first day that we can actually wear long pants because there is (finally) a chill in the air. 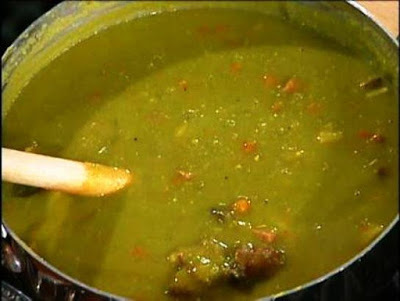 I have a cold now that I've taken care of everyone else so what a better way to fight off cold and chill than to make split pea soup! Che meraviglia! What splendor for my family when they come home from school and work. My version of this split pea soup usually comes out like a porridge, served with bread and sometimes I slice organic, grass-fed hot dogs into the soup for my kids.